Red Velvet is slowly but surely being incorporated into other varieties other than just cake. Red velvet cake is my favourite cake in all the land and I am all for it popping up in other forms just so long as it is done well. 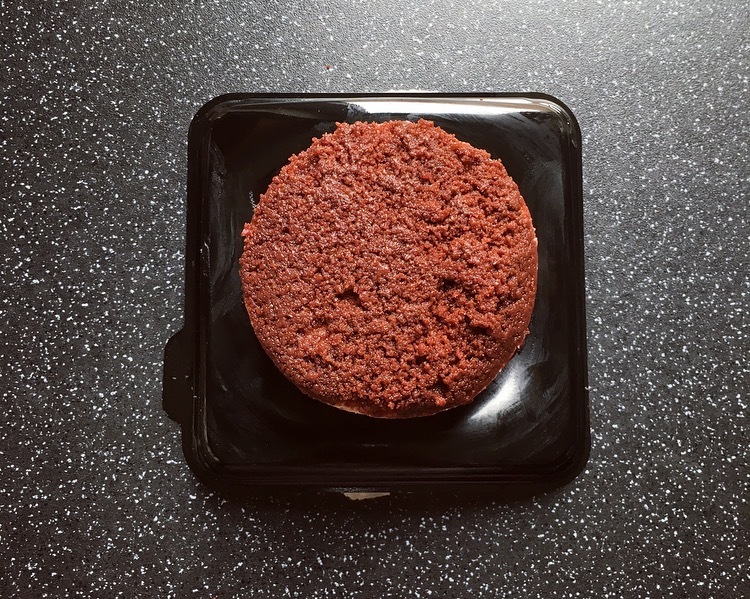 Today’s review is in homage to red velvet and is the Asda Red Velvet Cheesecake. In a rare jaunt to Asda I picked this single cheesecake up from their fresh dessert aisle for £1.50. 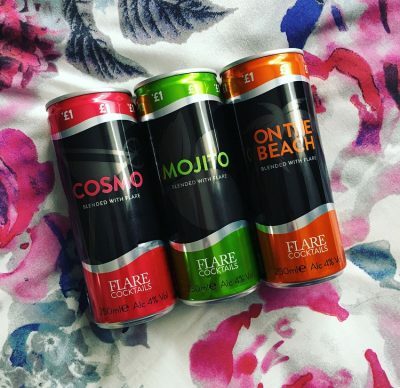 A little pricey but if you get it on offer for 2 for £2.00 it isn’t too bad. I hate to report that it is another annoying packaging situation. Not only were most of the ones in the fridge smooshed against the plastic where it had slide out from the shallow crevice or been juggled onto the shelf, it is also a pain to get out without sticking your fingers in the cheesecake. Chocolate chip cheesecake with red velvet sponge. 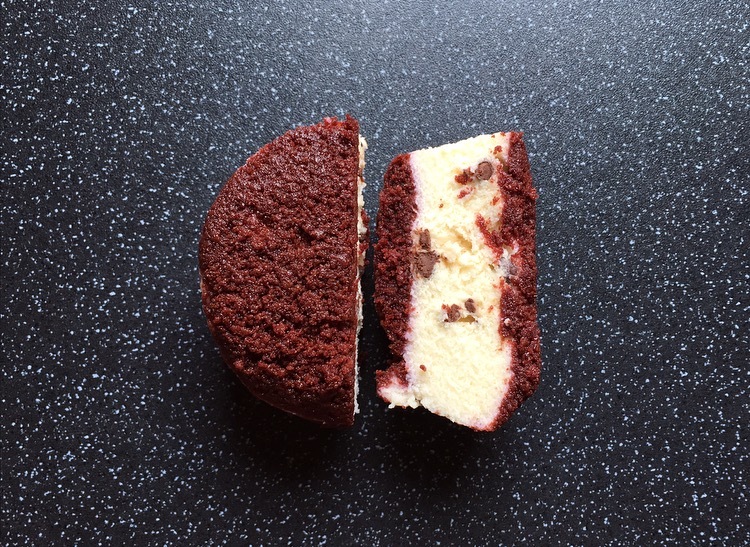 Having away with the traditional butter biscuit base, Asda have opted for a top and tails of red velvet sponge, sandwiching in the chocolate chip cheesecake. Cheesecake should be smooth, slightly tangy, and decadent and although it had that quality the addition of chocolate chips gave a mismatched texture and didn’t provide that much chocolate flavouring. Despite finding it a tad bizarre, if chocolate chips are your thing there were ample amounts littered throughout the cheesecake. The sponge was light, soft and blended with the cheesecake. Given the thin layer of sponge it didn’t bring much to the cheesecake table in terms of flavour and aside from colour there wasn’t all that much red velvet quality to it. A cheesecake with no biscuity base just isn’t a cheesecake. 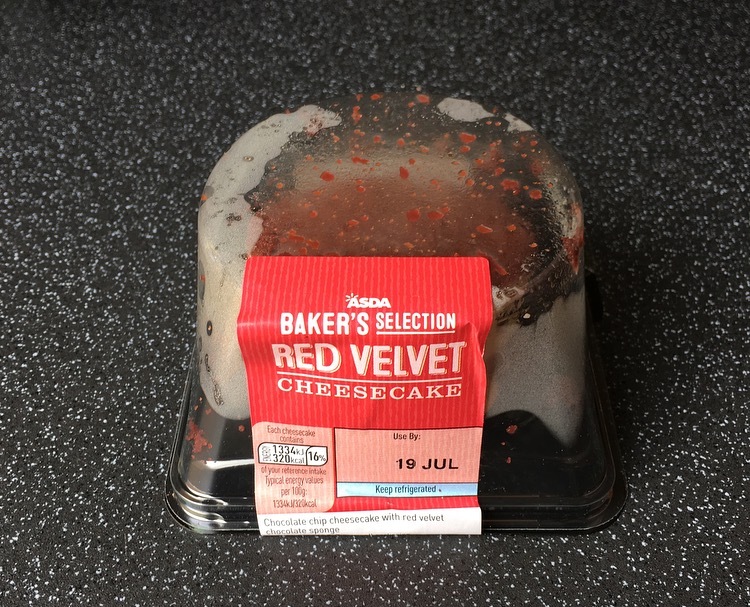 It is a nice cheesecake however unfortunately the Asda Red Velvet Cheesecake just isn’t what I’d hoped for, and is lacking in the all important red velvet flavourings. Why can’t these companies get red velvet right? It really isn’t rocket science! 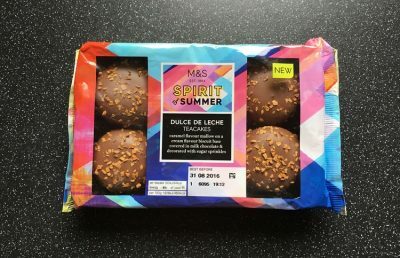 Sadly this cheesecake joins the likes of the M&S Red Velvet Teacakes and Fox’s Red Velvet Crunch Creams. The winner still remains to be the Red Velvet Oreos. Cadbury Dairy Milk Chips Ahoy!